Porsche's largely forgotten final iteration of the Volkswagen-derived 924/944 platform, the 968, has caught our attention here on DT about 10 times so far. Why? Because it was the final version of an undervalued bloodline, the most refined iteration of a long lasting model, and the last front-engined Porsche before the Cayenne started dominstrating all over the lowly sports cars (in sales volume, anyhow). The 968 is quirky, reasonably good looking - and, most importantly - it's still a relative bargain amongst P-heads. 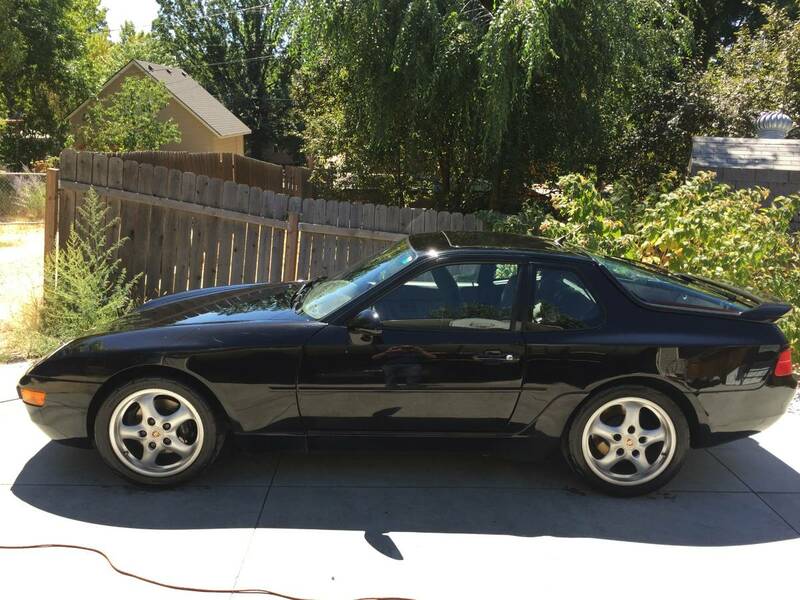 Find this 1993 Porsche 968 in Boise, Idaho for $16,000 on craigslist. Tip from Chris. I have to admit, when the tip email came through, I was tempted to call the seller myself. Then I realized that $16k represents more than I paid for an E34 M5, an FZJ80 Land Cruiser, and a '73 BMW 2002...combined. 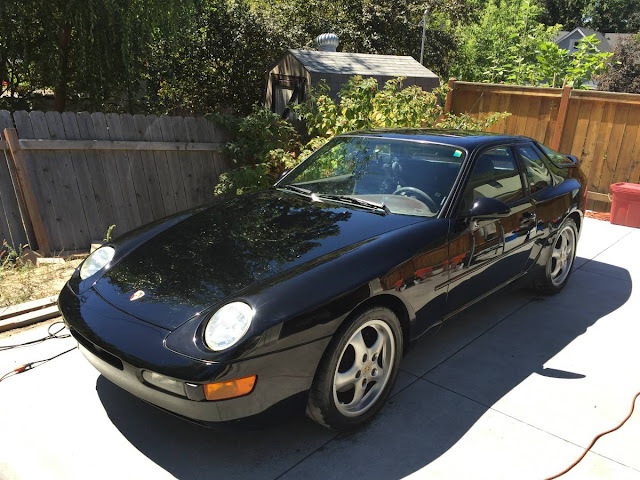 However, if you prefer to put all of your frivolous car eggs in one slick little black basket, this 968 looks like a good deal. 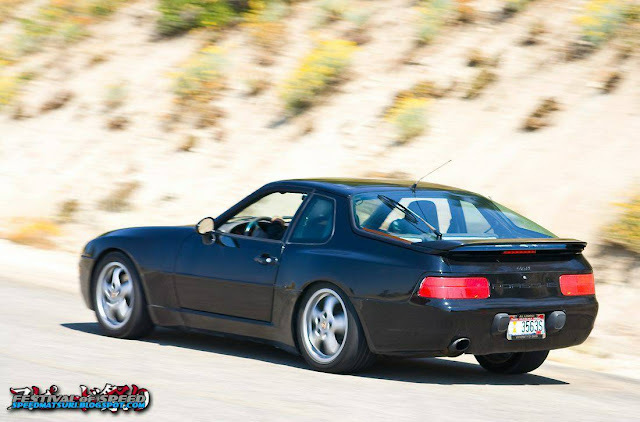 The 968 has some interesting technical specs: a uuuuge 3.0L inline four making 237 bhp (nothing to sneeze at) with the VarioCam system, a rear mounted 6-speed manual transaxle, and a torsion bar sprung semi-trailing arm rear suspension that traces its roots back to the 1968 Beetle. Seriously, a surprising number of parts will interchange. Older Type 1s can be converted from the swing axle setup to the later "IRS" and take advantage of this fact as well [...click click...author starts hunting craigslist for 944 Turbo and 968 rear hubs, arms, axles, and brakes for his 1966 Beetle]. The interior appears to have largely carried over from the later 944 models, but when it was introduced, Porsche claimed 80% of the 968's parts were new. Whether that means all new or just new revisions of existing part numbers, we aren't so sure here at DT. However, one thing we are sure of - if you want any early '90s performance car that looks like a 959 or 993 from the front, this is the absolute cheapest way to get your foot in the door. 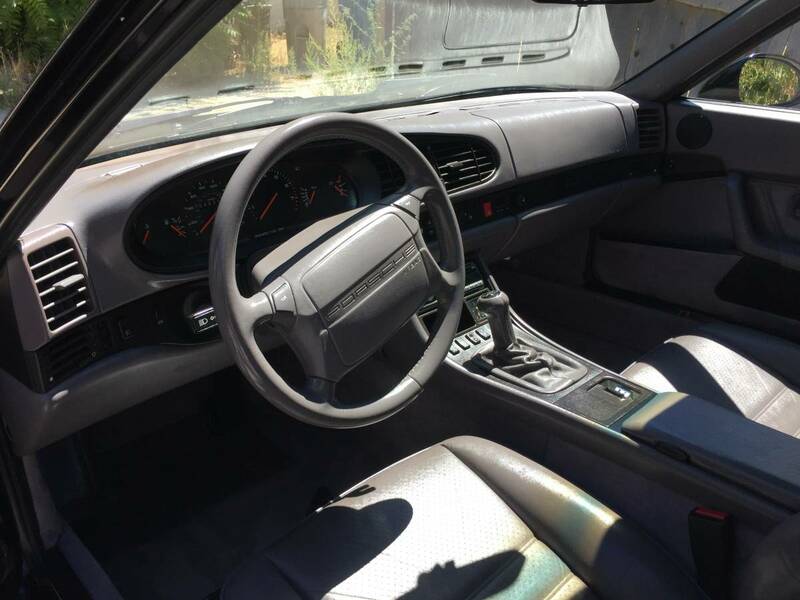 This seller even claims a good amount of recent maintenance, several sets of wheels, and that everything works (except the cruise control, but that should be an easy fix with a soldering iron and some resistors; amirite?). CFlo is Daily Turismo's co-founder and Technical Editor. When he's not swapping V8s into BMW E36 race cars, he's being solicited to buy Volvo 240s. Such is the life.